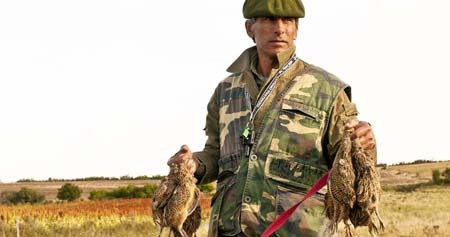 Uruguay bird hunting video with dove hunting and Perdiz hunting out of the Mercedes Lodge. A lodge open year round for doves and the chance to combine some dorado fishing with bird hunting in Mercedes. 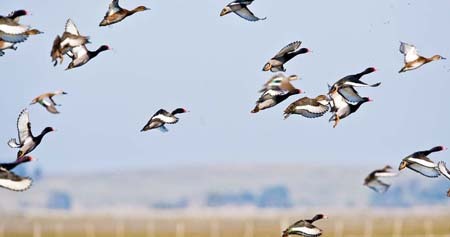 Uruguay hunting video showcasing the great duck hunting in Uruguay. See what they aired on the Outdoor Channel with Los Gauchos Outfitters and see the Uruguay duck hunting first hand. Marcus Luttrell and Scott Robertson experience Uruguay dove hunting with Los Gauchos Outfitters. Watch the bird hunting from these Texas heroes and experts at the sport of good hunting. Duck hunting in Uruguay is by far the best waterfowl hunting trip you can take. 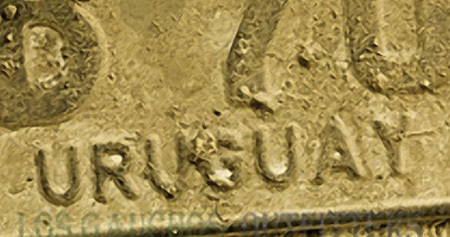 Los Gauchos Outfitters is the top source for duck hunts in Argentina - Peru - and Uruguay. Two lodges that offer duck hunting all day during the Uruguay duck hunting season gives clients the chance to come back year after year for a good duck hunt. 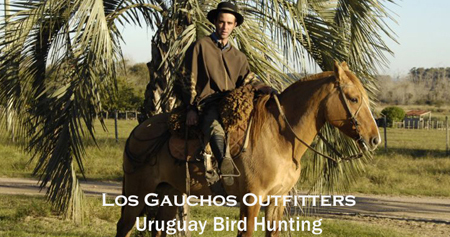 Los Gauchos Outfitters Uruguay hunting video showcasing the doves and Perdiz available at 4 lodges in Uruguay. The western part of Uruguay is full of dove roosts and fields for Upland hunting. Los Gauchos Outfitters is proud of the team that includes experienced hunting guides. From duck hunting to dove hunting to the classic Upland hunting, the guides really add to the bird hunting trip in Uruguay.